It's In The Details: HOORAY FOR 100K PAGE VIEWS! The contest is over and we have a winner! Thanks to all who helped me celebrate! I'm celebrating and you made it all possible! It's In The Details will soon (or already has) hit 100K page views! Enter the Rafflecoper to win a private query critique plus a first chapter edit. I've done a few paying editing jobs and I'll give you the works for FREE! That's line edits and big picture items! 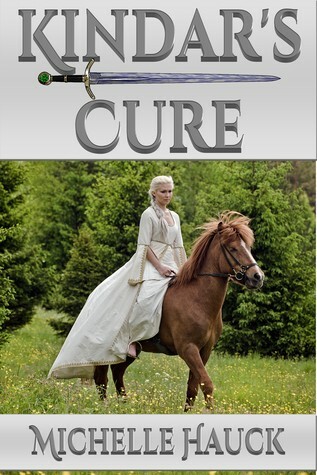 And until November 30th, you can also enter to win one of five autographed trade paperbacks of my book, Kindar's Cure, over on Goodreads! Also thanks for the amazing giveaway! Your query suggestions are very helpful, I've learned a lot. Thank you! I love your blog. Your query critiques and agent/author interviews are always helpful and insightful. Congrats on your blogging success! Yeah! I've been checking in, waiting for you to reach your goal. Thank you for your insightful and helpful posts. Love the query advice you give on here =). And the agent interviews, too! Congrats on 100k hits! That's AWESOME!! You have extremely helpful query advice and I've used a lot of it! Congrats!! Query suggestions and agent interviews are very helpful! Congrats on 100,000+ page views! I love Query Questions, it's a great resource! Congrats on the 100k views!! I love it because I can always use more query help! I want to say thanks to everyone who entered and thanks for pushing my blog to 100K! And thank you for offering your time to help make us better writers! Congrats on the views and thank you for the opportunity! I find it easy to stay on your blog site and read all of the information because the dancing monkey entertains me.